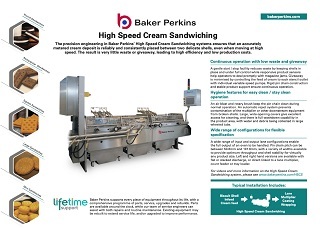 These special purpose hoppers feed cream to the sandwiching machine. 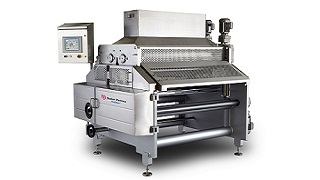 They incorporate features that ensure accurate deposit weight over extended periods of operation. 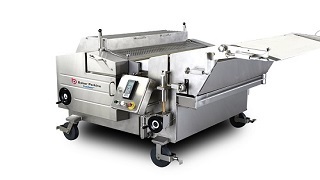 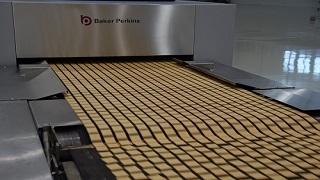 There is one pump for each lane of the sandwiching machine, each with its own variable speed drive and independently adjustable for accurate deposit weight control. 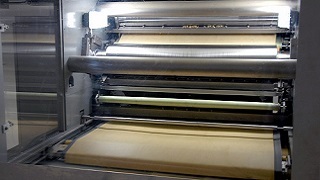 Cream feed speed is set to follow the sandwiching machine. 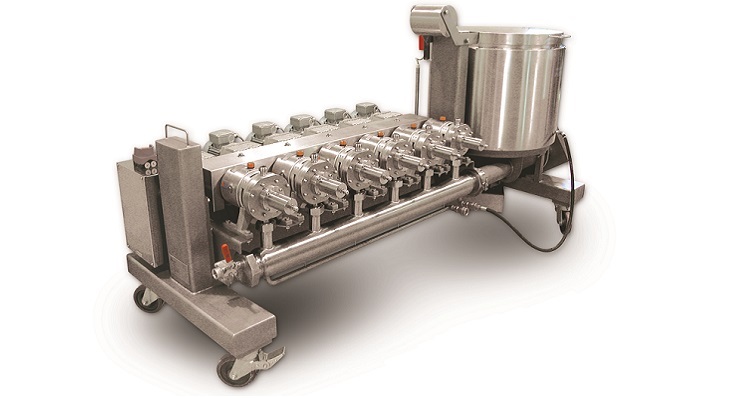 To maintain accuracy over extended periods, pump speed may be adjusted by feedback from a checkweigher in some circumstances. 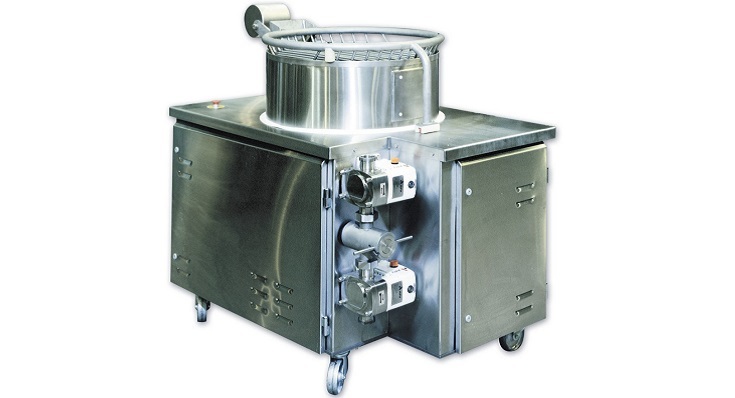 All parts are made from stainless steel or food grade plastic. 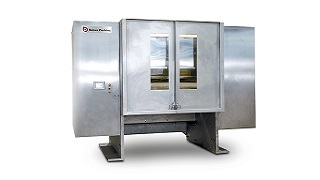 All parts that need cleaning regularly are easily accessible and the machine is portable for off-line washdown. 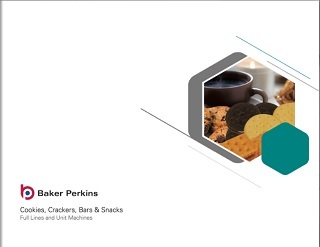 The control system and operator HMI are integrated with the sandwiching machine. 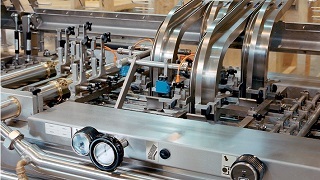 A lower specification machine with a reduced capital cost may include a single pump feeding each two-lane stencil. 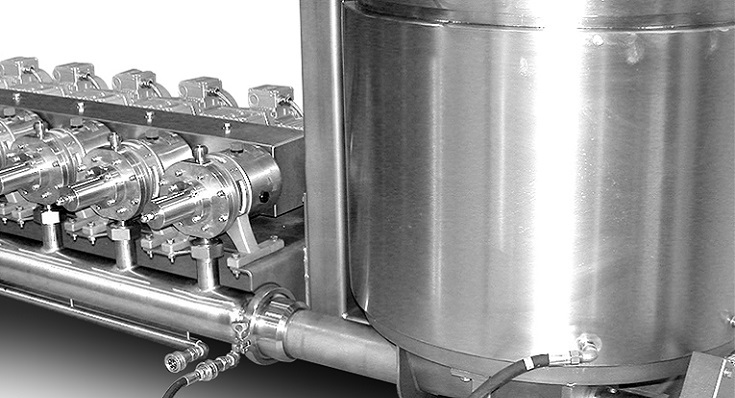 Deposit weight is still set by the speed of the feed pump, but in this case lane-to-lane balance is achieved by a manually controlled splitter valve.